Book Fairs are marketplace for content distribution across digital channels, print, audio, television, and film. As global forums for rights negotiation and sale, they are filled with seminars, events, national and international exhibiting companies, and publishing professionals. These prime venues with exposure advantages are hassle-free for the authors as we do all the work for you. Bringing published books to an audience is now made easier for authors. In partnership with the Combined Book Exhibit (CBE,) we will showcase your artistry to book readers, enthusiasts, traditional publishers, literary agents, directors, screenplay writers, and other decision makers in the publishing industry. This also includes having placement in the CBE booth and catalogue. Get your book on the track to success by choosing from our list of book fairs. Let your books be handled by professionals! 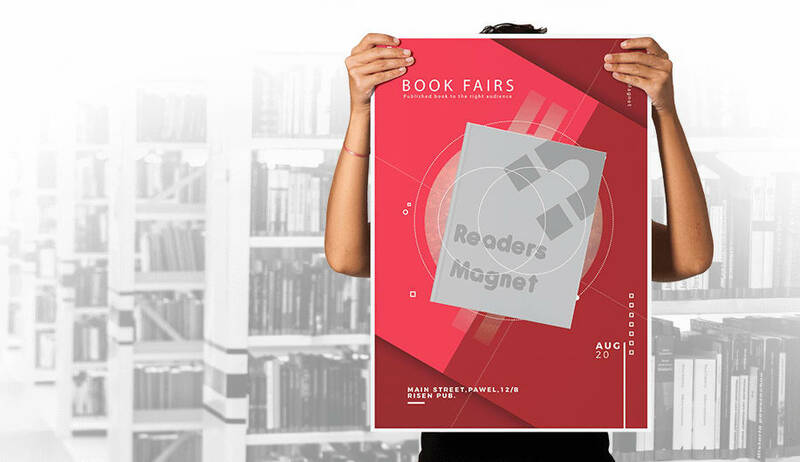 ReadersMagnet is in partnership with the Combined Book Exhibit (CBE), the largest book display company in the world which translates to the most renown and the most visited in international Book Events such as Trade Shows and Book Fairs. Serving for over half a century, the CBE has established a pleasant name as a book marketing and promotional service in the worldwide publishing industry that caters to publishing companies, self-published authors, librarians, educators, booksellers, literary agents, editors and a lot more. CBE gained great a reputation that it has been mostly visited. With your book to be displayed in one of its shelves, together with the marketing strategy of the professional and expert staff who exhibit your books knowledgeably and vigorously, you get a higher advancing in the scale of your book market. Your book just got a Great Leap! What is an eBook Display? EBook Display allows you to exhibit your ebook to the audiences at the book fair and display it. The eBook Display exhibit uses large monitors to draw attention to the event, while using new technology to keep people looking, book by book, at the many titles exhibited within. We take your book’s PDF file and automatically converts it to a safe file that can’t be copied or downloaded, but is easy to read at a book fair! Books are displayed with their cover always present, and when an attendee clicks the cover of the book he or she is interested in, they are able to preview up to 45 pages of the book. Users can see your contact and distribution information by clicking “more” on the book cover, and they can “check” to receive more information about your book.